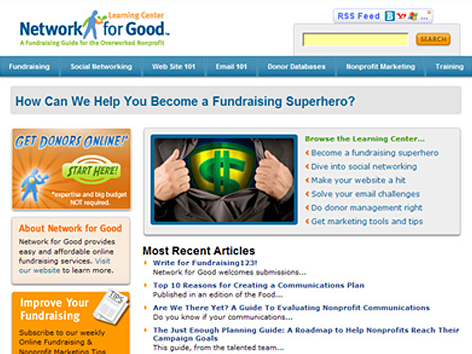 Network for Good asked us to design and build a Learning Center to educate their busy non-profit sector clientele on how to build a web site, increase profits, and properly manage donations. Imagistic delivered a quick-to-market Business Technology Plan for a site on a Drupal Content Management System, as well as a Flash-based tour of their Donor Management Suite. 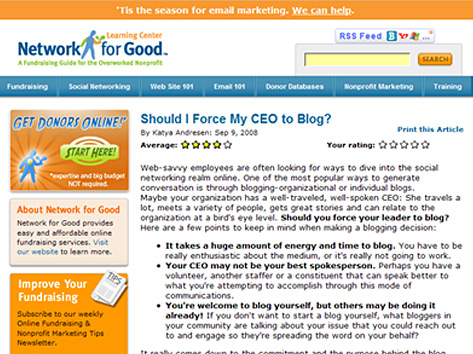 Network for Good is a website where users can donate to charities and search for volunteer opportunities.The website was founded in 2001 by America Online, Cisco Systems and Yahoo!.